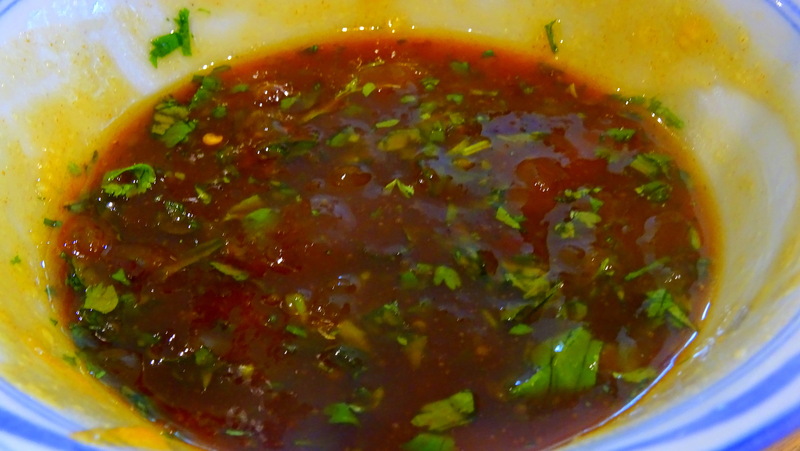 Though I used coriander in this, don’t let that put you off. I myself am one of the 15% of people for whom that little herb tastes more strongly of soap than a mouthful of fairy liquid. Give it some time to mellow in the sauce, let the acid in the chutney and added vinegar get to it and just don’t over-do it. OR replace it with something similar that will add a herby burst to the sauce. Maybe a combination of parsley and tarragon? 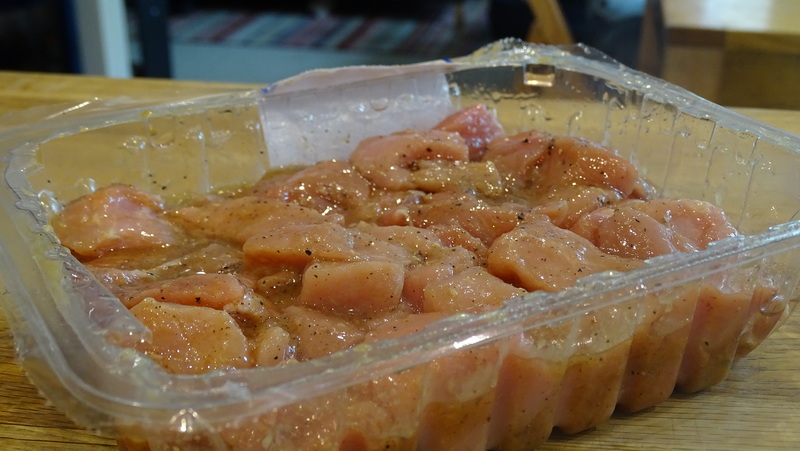 Combine the marinade ingredients and add to the diced pork. Leave in a cool place for 15 minutes or more, if you have the time. 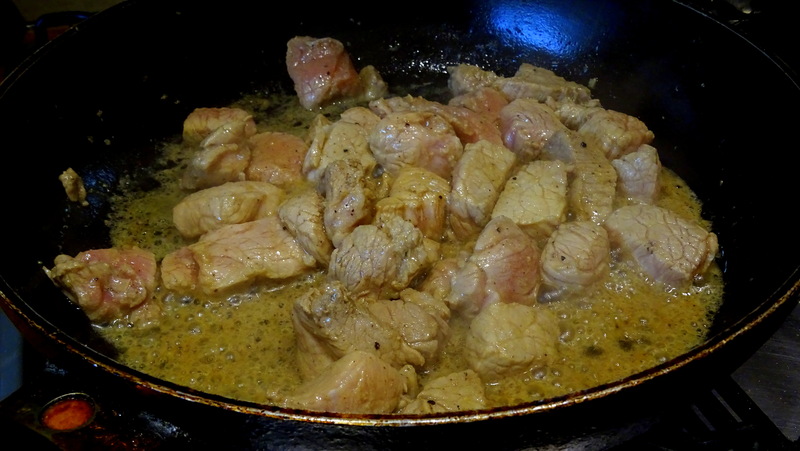 Heat a few tbsp of oil in a large wok or frying pan and add the pork, trying not to let the excess marinade enter the pan. The more liquid, the longer the pork will take to cook and the higher chance it has of toughening. Remember, moisture will also render out of the meat. In a bowl combine the sauce ingredients. Taste and adjust – if it seems too thick, add a splash of water, but remember it will turn runnier in the pan. 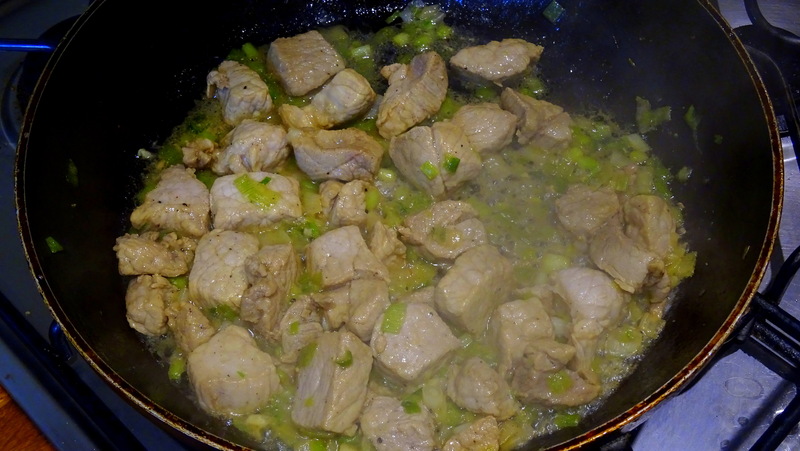 When the pork is nearly cooked, add the onions (if using any) and crushed garlic for a further few minutes. 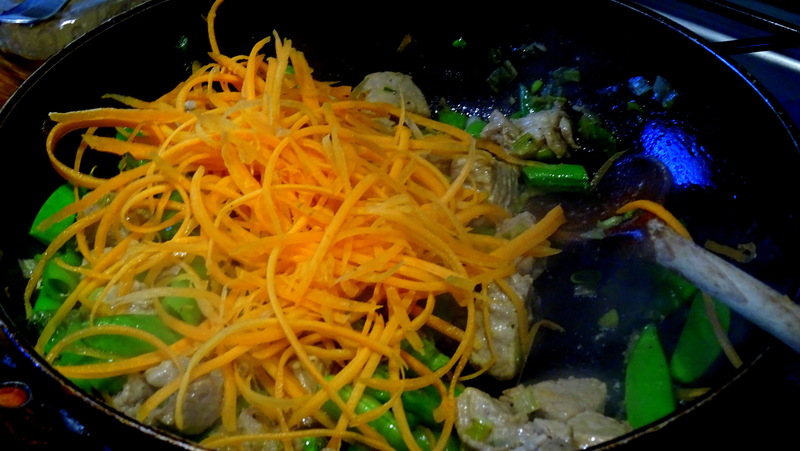 Add the rest of the stir fry vegetables and fry for a further minute or two. Add the sauce and stir for a minute. 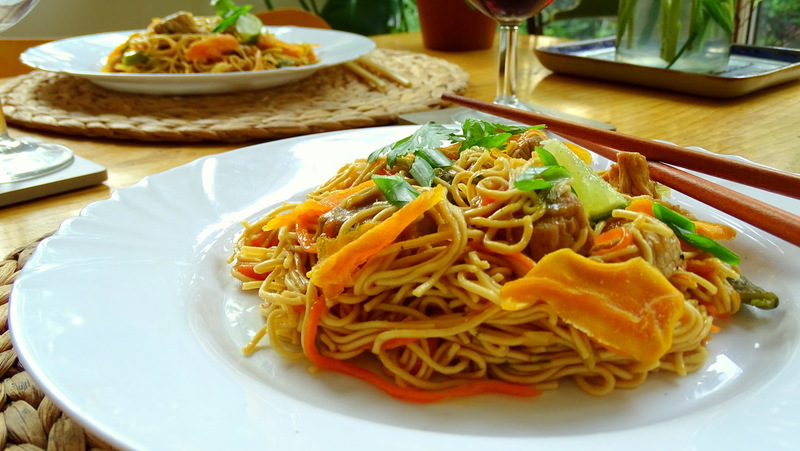 Stir everything through the noodles. Top with a lime wedge, dried mango and a small sprig of coriander. 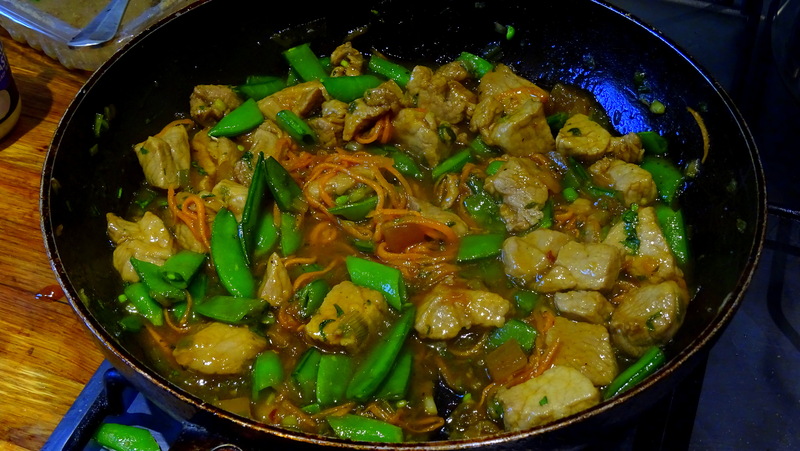 Posted in Guesscipes, One Pot, Pork, SaucesTagged asian, cooking, fruit, guesscipe, healthy, lime, mango, meat, noodles, pork, protein, recipe, stir fry, sweetBookmark the permalink.